Today I was listening to some Japanese pop songs that I haven’t heard in a couple years, and I was surprised that I understood a lot more than I used to. Actually, I’d rate my comprehension of the lyrics as maybe 20% of the words, whereas before it might have been 5%. But since it’s mostly just bits and pieces, and not even whole sentences that I understand, I only get the gist of what the song is about. Still, it’s fun to hear the same songs and the mystery is revealed a bit more as I study. I’ve been using the Anki flashcard system on my computer and phone to boost my vocabulary and it’s pretty good! However, I am going to switch from kana to romaji to get in more vocabulary quicker, then maybe I will switch it up and go back to kana for a bit. There’s a mental gap that I am encountering where I am trying to memorize both the meaning while seeing the kana/kanji and it’s kind of frustrating. So to build some momentum, I am switching to romaji (and I also study my kana cards separately as a refresher) and see if I can get more vocab under my belt. In other Japanese-related news, I have caught up with Segodon so now I can just watch the TV Japan broadcasts when they are shown. And then I am also watching a Sailor Moon episode here and there. Fun to pick up the new words I have learned. So, some improvement with my Nihongo, and also a bit of fun with the dorama! 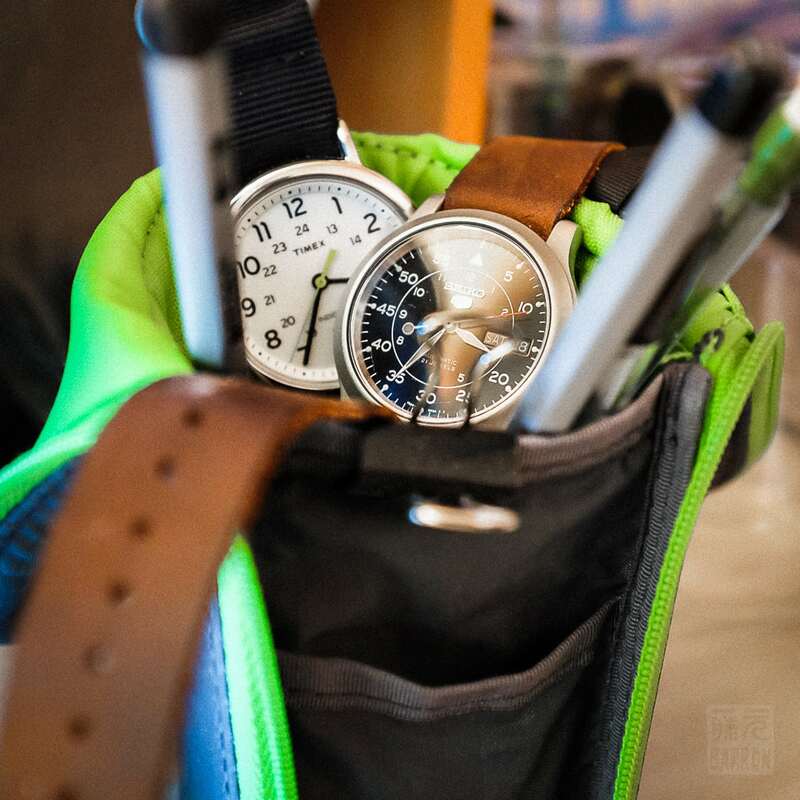 Today’s photo is of my watches, sitting in a Kokuyo pen case. I tidied up my desk, but don’t have a good place to put my watches so I just threw them there. I like looking at them, so I don’t put them in the drawer but it seems like they need a better place to hang out than just the desktop.  We’ll find a good home for them someday! I hope you had a good Saturday!